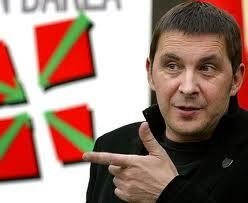 Interview with the jailed Abertzale Left leader Arnaldo Otegi. Originally published in Basque newspaper Gara. In “Argien Aroa” book, you tell the precise story about the process completed by the Abertzale Left in re-directing its strategy and the new time open in the Basque Country. How has this period been? From my point of view, the Abertzale Left has completed the change in strategy in an organised manner. Taking into consideration all the obstacles that had to be overcome, I would say that its completion has been outstanding. On the other hand, we shouldn’t take a complacent attitude. The steps forward taken in the last few years need special mention: the summing up of collective strength (both social and electoral), strategic agreements, the level of international implication, the legalisation of Sortu, the final verdict of the Court of Strasbourg over the Parot doctrine, the rise of the leftist independence movement that is now able to hold the reins of political leadership, etc… However, we still haven’t been able to put together an offer for a democratic and disobedient confrontation with the States. That would be a massive leap forward; without it, it would be very difficult to change the strategy of blockade and sabotage that the enemies of peace put into practice. Are unilateral actions still continuing to be an effective tool nowadays? Aldebakartasuna is key to our new strategy. It was the core factor of the new political phase, still is, and it has to carry on. We at least have two reasons for it: firstly, our decision hasn’t come as a consequence of the state’s denial to a democratic solution, but because we reached the following conclusion: the state has never been and isn’t interest in facing a process of resolution. Secondly, unilateral movements allow for the control of the pace and subjects of the process. This way, specific conditions within Basque and the international community can be created. Conditions that would make the enemies thoughts of sabotage unbearable. Does the Abertzale Left have to keep giving steps forward? In which direction? I find it essential for the abertzale left and all the leftist independence movement to take forward any action that has a unilateral sense, as long as it helps to re-enforce our presence within the Basque Country and the international community, and weaken that of the state. At a more strategic level, it is essential for the abertzale left to face the limits of debate and discussion with high spirits, as this will be necessary to face the forthcoming challenges. I refer in the first instance to an open debate, calm, deep and inclusive that had as objective the creation of a political, administrative and ideological tool (Sortu). The second instance is about a set discussion, open and simple. A discussion that encompasses all sectors in favour of self-determination and progress, and strengthens the national and anti-oligarchic essence of the “wide front” that is Euskal Herria Bildu. And a third instance is to be created with those sectors seeking a resolution to the conflict, with no exceptions. Within a reasonable timescale, I also find necessary to embark on a further discussion at an international level with sectors in favour of sovereignty and socialism, in order to kick-start the renaissance of a new Peoples & Workers International (5th). What kind of impact has the restructuring of the Abertzale Left had in political affairs within the Basque Country? Our restructuring has provoked a political shake up within the Basque Country and also within the two states. The current scenario is the direct product of that action. With regards to what we brought to the democratic normalisation, I will speak clearly, precisely and firmly: the fact that ETA’s armed struggle is out the equation is solely because we managed to convince the organisation that the most desirable way to end the conflict are peaceful means. Without this decision and this convincing work, the armed struggle would continue to be part of the Basque political scenario. Abertzale Left has changed. Are past plans, organisation and work ethics still useful in this new era? I will answer with the same determination and precission: no. Compared to the previous organisation, this new strategy requires a different political and organisational approach. This organisational structure has to show the value of the new political alternative we offer to society. It has to keep away from false avangarde ideas, and away from fiscal temptations; starting from the bottom and based on social and revolutionary assurance, stablishing a long lasting democratic and social implication. What conclusión can be drawn considering the freedom of Iosu Uribetxebarria and the social and political process which live in? Before coming to any conclusión, I would like to highilight the level of determination and compromise demonstrated by Iosu Uribetxebarria towards the new political era, inspite of being in a situation of life and death: he was able to take his destiny away from any action that could take the strategy of the abertzale left back to past endeavours (he described this as madness). His attitude really showed the true colours of those politicians using hatred, and vengeance as flagship. Referring to political conclusions, the position of the State is obvious once again: in aspects where its contribution is essential (i.e. prisoners), it will try to sabotage the process. That position that has provoked so many contradictions within the State itself is part of its plan of innaction, and it also shows that there is an important sector here that would have taken Iosus situation to its worst end. I consider very significant the fact that neither the PNV nor the renovated ecclesiastical hierarchy, both in the Basque Autonomous Community and Navarre, have totally disingaged themselves from this matter. I say this is significant given the fact that it wasn’t just a political matter but also a matter a human rights. What is your interpretation of the strengthening of the activity that this court hearing has provoked in the Basque Country as well as within the BPPC (Basque Political Prisoners Collective)? As opposed to what I mentioned earlier, the strengthening of activity that this claim of human level has provoked has pedagogically gathered all elements of our new strategy. What I would like to mention first of all is the fighting spirit appreciated at all levels, whether this is in prison or in the streets, and achieved through civil disobedience: hunger strikes, putting up posters, demonstrations, enchaining… all these actions demonstrate one thing; the need for the creation of civil and democratic environments of confrontation, which is what we have proposed many times and has actually started to become a reality within Basque society. The images of Paulo Agirrebalzategi speak for themselves (carrying the empty chair of Iosu Uribetxebarria). That is the right way. Together with this, we have rooted the demand for respect to their own laws, and this has shown their own colours in front of Basque society and the international community, it also narrows their room for manoeuvre. Likewise both legal and judicial aspects also should find their place within the plan of confrontation and resolution. Finally, we have achieved a degree of implication from the international community that has echoed around the world. We have to take all these conclusions into consideration at the time of presenting our claims and actions, now as well as in the future. Looking into the future we have to bare in mind all these teachings in order to achieve an efficient strategy. I wouldn’t like to finish this question without expressing my most sincere support to Iosu and his family, and also to all those involved in the fight for his release. I am convinced that the enemies of peace will never achieve any of their objectives in the Basque Country. They will make us suffer but they will never make us give up. After your release from prison in 2008, you started putting together a speech for a «durable strategy». You used the state of international affairs as the key element to this speech. You mentioned different processes for independence being undertaken at that time (Scotland, Quebec…), together with the fact that different armed groups in Latin-America where taking the form of social and electoral alternatives, with the exception of the FARC. Four years later, the independence Parti Quebecois has been victorious, and the FARC has started a peace process. What is your conclusion? My conclusion is that reality confirms the analysis we made in the past when we laid the basis for the change in our strategy. I take this opportunity to congratulate the Quebecer independence party and to show the peace talks in Colombia my total support. I wish for a fair, stable and durable agreement to be achieved and to be put to the service of the majority of Colombians in search of a social and political model. Let’s hope such talks to be successful and fulfil the wishes of that nation. We are now on the verge of new elections on the 21st of October. What does our society have at stake? What our nation (only part of its territory) has at stake is the unmatched opportunity of its society to give its full confidence to the leftist independence movement for the first time in history. With this we will be reaching an historical milestone. What is also at stake is the direction from which this society will face peace and economical challenges: from one side we find the neoliberal and autonomic recipes offered by the more traditional parties (PNV, PSOE, etc. ), and on the other hand we find the leftist movement in favour of sovereignty which offers new and efficient solutions, is inclusive and is firmly based on compromise. And what does Abertzale Left have at stake? The pro-independence alliance formed around EH Bildu is incredibly wide in sociological terms. What message would you send them from prison? First of all I would like to show my total confidence in all men and women whom I call «the leftist abertzale society». And also I would ask them to act with ambition: we were born to win and we are prepared to win. Once again, I would like to express my love, support and total political and personal respect to our candidate for Lehendakari, Laura Mintegi; as well as to her governance team. They all guarantee honesty and compromise. I love you all!